Nvidia’s new GeForce GTX 980 and 970 graphics cards already snatched the single-GPU performance crown from AMD, and now Nvidia’s taking aim at another Radeon strength: Free games. 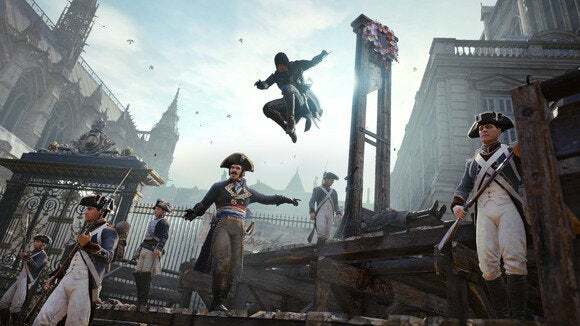 Just in time for the holidays, Nvidia will let you take your pick of Far Cry 4, Assassin’s Creed Unity, or The Crew when you buy a new GeForce GTX 980, 970, 780 Ti or 780 desktop graphics card, or a laptop with mobile GeForce GTX 980M or 970M graphics. The story behind the story: The trio of Ubisoft games are some of the most highly anticipated titles this holiday season, and all feature GameWorks, a set of Nvidia-made tools that can enhance a game’s graphical capabilities, especially on GeForce cards. AMD claims that GameWorks hurts its ability to optimize games for use with Radeon graphics cards, making it a “clear and present threat to gamers.” Yes, there's certainly cause for potential concern, but the truth appears to be much more nuanced, as Joel Hruska details in an excellent breakdown of the controversy at ExtremeTech. Middleware technology talk aside, AMD also offers free bundled games when you purchase a new Radeon graphics card. Most—though not all—are slightly older titles, but they’re still a spectacularly solid bunch, with Alien: Isolation, Sniper Elite 3, Darksiders II, Saints Row IV, Star Citizen, and many others. All told AMD offers 27 different games (including six bundles of two indie games) to choose from, and many gamers can actually receive more than one freebie. Buyers of R9 270, 280, and 290-series cards can choose 3 games; R9 260-series buyers can pick two; and buyers of an entry-level R9 250-series Radeon can select a single free game of their choice. The sticker price of Radeon graphics cards has utterly plummeted in the wake of Nvidia’s new duo, as well, while still being eligible for AMD’s free game bundles. That makes AMD’s graphics cards mighty enticing for price-conscious consumers, but Nvidia’s “Pick Your Path” bundle is clearly targeted at gamers who don’t mind spending more money for high-end hardware that’s superior in both power efficiency and pure performance. 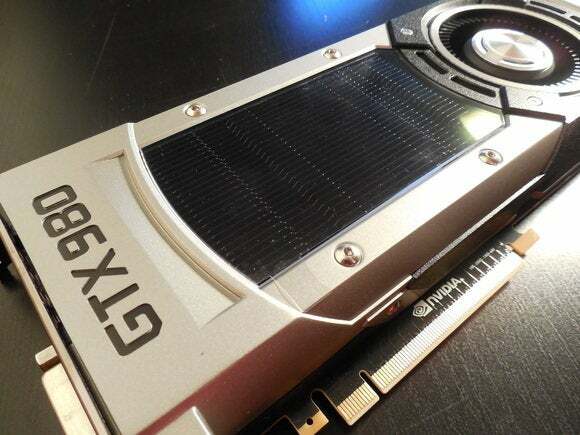 The powerful GTX 900-series cards are still in short supply, especially models with reference coolers and stock prices, while GTX 780 and 780 Ti cards still sell for north of $400—sometimes far north. Meanwhile, AMD’s flagship R9 290X graphics cards are routinely selling for under $350 on Newegg. In other words, Nvidia’s free game offerings are essentially just a bone tossed to gamers who’ve already decided to side with Team Green. But it’s a damned delicious bone indeed—Far Cry 4, Assassin’s Creed Unity, and The Crew will each cost $60 retail when they’re released in the coming weeks.